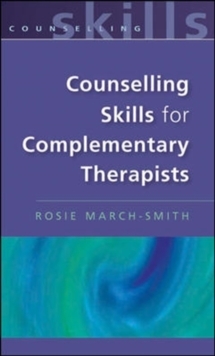 Which skills should a complementary therapist develop?How might the skills be used more effectively? What are the ethical issues that a complementary therapist must consider?When and how should a complementary therapist seek help?As the demand for tighter professionalism grows in the complementary healing world, and government regulation increases, a more skilled approach to counselling patients has become priority. Surprisingly, few practitioners over the past thirty years have used more than basic listening skills as part of their clinical work, largely because they were not taught counselling techniques. Most continue to rely instead upon sympathy and intuition to help their patients face emotional problems. Yet advice, however well-meant, could prove dangerous or, at the least, inappropriate.This pioneering book seeks to change this. Counselling skills help prevent making mistakes, they tell therapists what they can and cannot do. In turn, they then guide the patient towards taking more responsibility for their life and to discover their own 'healer within' to speed recovery. 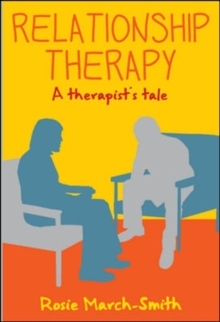 In using talking treatment as well as their primary discipline, practitioners may now offer a truly holistic mind-body-spirit dimension to their work.Theoretical consideration of topics such as transference and counter-transference are woven together with case studies, practical tips, personal anecdotes and observations, to make this an accessible and informative book for professionals, graduates and students.